At Rumson’s it's simple – We create exceptional spirits. We hand select and marry the finest barrel aged Caribbean rums. These rums are chosen for their distinctive and savory flavor profiles. The spirits are then blended and finished in our New England rum house. This process allows us to blend extraordinary flavors, while hand finishing our rum. The result is memorable spirits and memorable stories. Share them both. Please note: We do not chill filter our rums. Over time sediment and esters can form. A quick shake will reconstitute the product. A composite of fine aged Caribbean rums, custom blended to create a unique flavor exclusive to Rumson’s. 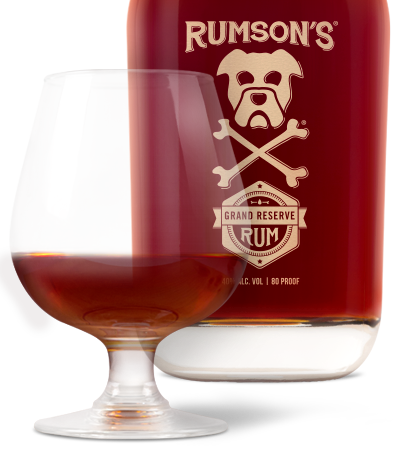 Rumson's Rum is delicious neat or a perfect companion to your favorite mixer. This is a medium-bodied, floral rum with a hint of citrus, a bit of sweet and a crisp, warm finish. For every adventure, for every story, there is Rumson’s Rum - Smooth, Sweet, Memorable. Fine Caribbean rum, lightly aged, and custom blended at Rumson’s. This spirit is a perfect companion to your favorite mix or delicious straight up. Rumson’s Spiced Rum is smooth and sweet with a tasty nutmeg, vanilla and butterscotch finish. For your Bolder adventures – Rumson’s Spiced Rum – Smooth, Sweet, Memorable. Fine Caribbean rum, lightly aged, and custom blended at Rumson’s. As a mixed drink or neat, this spirit will please the most discerning palate. 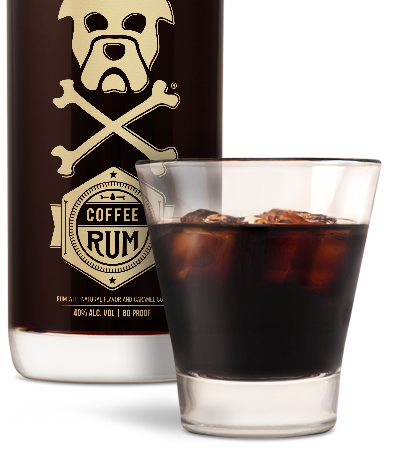 Rumson’s Coffee Rum is smooth and sweet, with a warm roasted coffee flavor, a hint of vanilla, and a decadent buttery finish. For your most indulgent adventures – Rumson’s Coffee Rum – Smooth, Sweet, Memorable. Our Crown Jewel - Exceptionally smooth, exceptional taste. A custom blend, this union of fine, aged Caribbean rums, creates a refined flavor exclusive to Rumson’s. This rich, full-bodied sipping rum is remarkably smooth and delicious. A classic finish, with notes of caramel and butterscotch make this unique spirit the perfect choice for your greatest adventures – Rumson’s Grand Reserve Rum – Smooth, Sweet, Memorable. Before you mix your next cocktail, sip your rum and ask yourself, "Is this the rum I want in my drink?" We created Rumson's Rum to be Smooth, Sweet and Memorable. Give your cocktails the spirit they deserve with Rumson's.